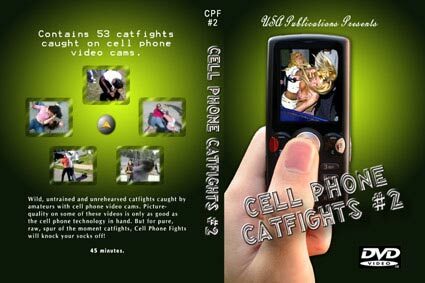 Contains 53 spontaneous catfights caught on cell phone video cams. If you like wild, untrained and unrehearsed catfights caught by amateurs with cell phone video cams, this series is for you! Admittedly, the picture-quality on some of these videos is only as good as the cell phone technology in hand. But for pure, raw, spur of the moment catfights, Cell Phone Fights will knock your socks off! 53 scenes.